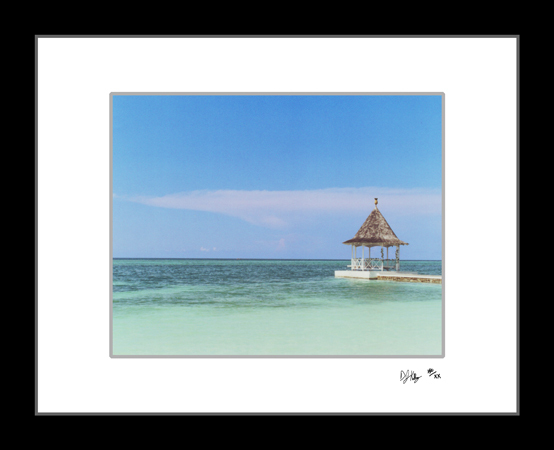 The Ocean Gazebo photograph was taken from the beach at Montego Bay in Jamacia. The deep blue sky, the emerald ocean, and the gazebo lead to a very calming photo. The gentle sounds of the ocean can almost be heard from this color landscape. To see this photo as a three series panel, look at the Canvas Gallery Stretcher page.